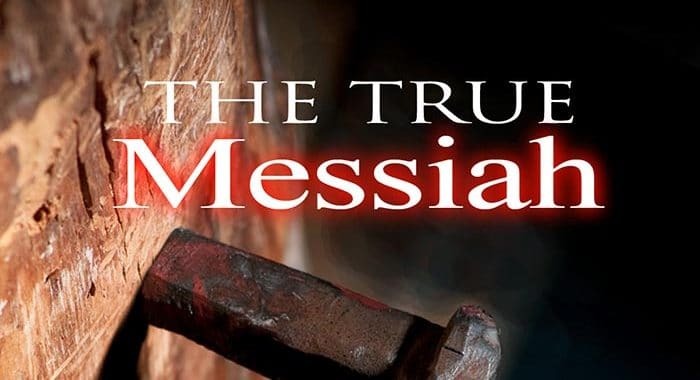 A great deal of misinformation has been written about notable personalities down through history, but nothing compares to the delusion and confusion in the minds of millions regarding the true Messiah and His earthly mission. Centuries of false teachings coupled with widespread ignorance of the Scriptures have produced an entirely skewed view of the person of the Savior and what He stood for. If Satan, the father of lies, could convince millions to believe in a different messiah who completely misses the mark, then he could score a coup of staggering proportions. That is exactly what has happened as countless people have been misled as to the teachings and purposes of their Savior. All kinds of false concepts regarding the Son are crystallized in conventional beliefs. They extend even down to such details as His physical appearance. Imagine for a moment that He revealed His identity on the old To Tell the Truth television program. Millions of shocked viewers would stare in stunned disbelief when the announcer asks, “Would the real Messiah please stand up?” Rising from His chair is a rugged, muscular, olive-toned Hebrew with shorter, dark hair and beard, calling Himself “Yahshua” and proclaiming that He will set up His kingdom soon at Jerusalem. Still seated on either side of him and staring forlornly into space are two fragile impostors. They sport shoulder-length, blondish locks, puppy-dog eyes, thin eyebrows, narrow noses, and lily-white skin — not unlike that popular painting of a frail, northern European “Messiah” decorating the walls of thousands of churches and homes. Rather than a Jew of the Middle East who was no stranger to hardship and hard work, these impostors present an image that is as far off the mark with regard to His appearance as popular beliefs are about what He taught. Is it just a coincidence that image we see of the Messiah bears a disturbing resemblance to Serapis with his long flowing locks? Does this imagery square with the Bible when the Apostle Paul tells us it is a shame for a man to have long hair?1Corinthians 11:14. To tell the truth, the Savior of the Scriptures is not the same one you probably have been taught from your youth. He is quite unlike the individual described in contemporary sermons and Sunday school lessons. Incredibly, millions who rely on Him for their very salvation are more ignorant of Him than they are about their favorite sports stars or Hollywood celebrities. Shouldn’t you want to know the truth about the One who stands at the center of your beliefs? Being that He is soon going to judge your life, isn’t it important to know what He said regarding salvation, as well as what His standards of judgment will be? You need no special revelation from on high to learn the truth about the Messiah. All it takes is an honest look into the Scriptures and a willingness to shed some popular but false concepts. With so much misinformation and ignorance surrounding the Messiah, how can millions say with complete confidence that they “know” their Savior? Who is this “Word” who was in the beginning? Verse 14 explains: “And the Word was made flesh, and dwelt among us…” The Word is none other than the Son of Yahweh. He was on the scene at the creation of the universe. Proverbs 8:22-35 confirms His existence from the beginning of creation. Speaking to a group of Jews the Savior Himself testified to His heavenly existence before He came as a babe born in a manger. “Yahshua said unto them, ‘Verily, verily, I say unto you, before Abraham was, I am’” (John 8:58). See also John 6:62 and John 6:38, where He said, “I came down from heaven.” His entire motivation, according to verse 38, was to “do the will of Him who sent me.” His Father’s plan, incidentally, has been the same from the beginning, Malachi 3:6 and James 1:17. Everything in the universe was made by the Word, according to John 1:3. He is the image of the invisible Elohim, and “by him were all things created…by him and for him,” Colossians 1:16. The facts surrounding His human birth have been skewed, which we are reminded of at the end of each secular year. Tradition says He was born at Bethlehem on December 25, yet the Scriptures never mention the day or even the month of His birth. He likely was born in the autumn, when shepherds would still be in the fields “watching their flocks by night,” Luke 2:8. This would not be happening in the middle of the cold, wet winters of the Middle East. The December 25th observance date derives from the ancient Roman Saturnalia, a celebration of the return of the sun-god Mithras at the winter solstice. Nowhere in Scripture are we told to observe the birthday of the Savior; hence, no date is ever given for that observance. If His birthday were important to Him, and necessary to observe, you can be sure He would have told us exactly when it was. This is clear from those observances that are essential to Yahweh and His Son. For example, remembering His Son’s death at the Passover is explicitly mandated and, because it is so very important to Yahweh, the date to keep the Passover is precisely laid out for us (Ex. 12:6; Lev. 23:5). The same is true of the six other annual observances of the Bible. The Savior was born of Hebrew parents, Luke 1:27. It naturally follows that He would have a Hebrew name. “Jesus Christ” is a Greek name, and we know He was not Greek (see Luke 1:32; Hebrews 7:14). Being a hybrid, the name “Jesus” has no distinctive etymological root meaning. In fact, the letter J did not exist in any language until the time of Christopher Columbus. This is a fact provable from any unabridged dictionary under the letter J. Therefore, no one referred to Him as “Jesus” until the 15th century or 1,500 years after His birth. The Anchor Bible explains His Name Yahshua in a note on Matthew 1:1: “The first element, Yahu (=Yahweh) means ‘the [L-rd],’ while the second comes from shua ‘To help, save’” (vol. 26, p. 2). Translator errors in Acts 7:45 and Hebrews 4:8 in the King James Version testify to the fact that “Jesus” was wrongly inserted in the New Testament text for the closer “Joshua” (Yahshua), son of Nun. Modern versions have fixed this error. Why should we be so scrupulous and careful about what we call Him? Do names really matter? Does your name matter to you? His Name certainly matters to Yahweh, who instructs us in no less than the very outset of the Ten Commandments what His Name is, and in the Second Commandment that He expects us to worship none else, Exodus 20:2-3. He also warns against falsifying His Name, 20:7, which is done by the use of erroneous substitutes. When we use another name in worship we are dishonoring Him and His Son by ignoring His specific commands to call on His Name, and therefore putting our will before His. To insist on using another name once we know His true Name is to defy the very One who gives us each breath. The four combined Hebrew letters of His Name are found 6,823 times in the ancient text, and He refers to His Name hundreds of times throughout the Scriptures. For example, He tells us to honor His Name (Ps. 66:2,4); call on it (Ps. 99:6); confess it (1Kings 8:33); love His Name (Ps. 5:11); praise His Name (2Sam. 22:50); think on it (Mal. 3:16), and trust in it (Isa. 50:10). On the contrary, we learn that the truly sincere worshiper will honor His Father in all things, especially when it comes to His Name. Yahweh is adamant that He has but one Name. The Psalmist writes, “That men may know that You, whose name alone is Yahweh, are the Most High over all the earth,” Psalm 83:18. His people will know and be called by His Name, Deuteronomy 28:10 tells us. He commands us not even to mention the names of other “deities,” Exodus 23:13. Besides His Hebrew Name, the Messiah looked like a typical Jew of His day with plain, average features, a fact that was prophesied: “For he shall grow up before him as a tender plant, and as a root out of a dry ground: he has no form nor comeliness; and when we shall see him, there is no beauty that we should desire him,” Isaiah 53:2. His hair was the normal, clipped style for a man of His time, and certainly not shoulder length. This is clear because He was a priest in the Melchizedek order (Ps. 110:4) and a priest had to have clipped hair, according to Ezekiel 44:20. Paul, who saw the risen Messiah, would never have said that it was a shame for a man to have long hair if the Messiah Himself sported long hair (1Cor. 11:14). Yahshua, the firstborn in the family of Joseph, had four brothers: James, Joses, Simon, and Judas, and at least three sisters,Matthew 13:55-56, John 2:12. Therefore, His mother Mary (correctly, Miriam) was not a virgin for long. While dying Yahshua made arrangements for the care of His mother, John 19:26-27. His death, incidentally, was not on a cross, as popularly believed, but on an upright pole with wrists nailed overhead. This is clear from the words translated “cross.” They are the Greek stauros and xulon, and mean a plain stake or pole without a crosspiece. John 3:14 tells us He was lifted up at His impalement in the same way Moses lifted the serpent up on a pole in Numbers 21:9. The pagan origins of the cross can be traced back to Egypt where it was known as the “Ankh” (key of the Nile). It was an ancient Egyptian hieroglyphic character that literally reads “eternal life.” The Ankh was a symbol of life and fertility. With the syncretistic beliefs of the early Roman church it is not surprising they grasped on to this symbol as their own. One only needs to look at the Vatican in Rome to see remnants of ancient Egyptian symbols, most notably the pagan Egyptian obelisk (phalic symbol) in the center of St. Peter’s Square. Significantly, atop the obelisk they have added the cross. This obelisk was brought to Rome by pagan Emperor Caligula in CE 37 and relocated by Pope Sixtus V in 1586. Some believe He did not actually die but went down to hell to preach to lost souls for three days. If He didn’t die and wasn’t resurrected from the dead, then we have no payment for our sins, 1Corinthians 15:13, 17. Sin’s consequences require no less than a death penalty payment, just as for Israel when they slayed animals on the altar. Yahshua became that death sacrifice to pay the penalty for our sins, Philippians 2:8, Hebrews 9:27-28. In Hebrew 9:15 we read that as the mediator of the New Testament, that He redeemed transgressors under the first covenant by means of His own death. The Evangels tell us plainly that He died on the stake, Matthew 27:50, Mark 15:37, Luke 23:46, andJohn 19:30. The expression, “Gave up the ghost” in the King James Version is an Old English euphemism for the act of death, when the spirit or breath of life (Greek pneuma) leaves a person and he becomes life-less. We also know through accounts like Peter’s testimony in Acts 10:39-41 that the Messiah literally died and did not just leave His body for a period of time while He remained conscious in spirit form. Of all the mistruths about Him, however, the most pernicious in regard to salvation completely misconstrues the Son’s purpose for coming to this earth. Many have the image of an iconoclastic Son who came bringing simple grace and faith to replace the failed law of His Father. This widespread myth is openly expressed in traditional teachings in spite of Yahshua’s clear and unambiguous personal testimony to the contrary. He said, “Think not that I am come to destroy the law, or the prophets, I am not come to destroy, but to fulfill. For verily I say unto you, Till heaven and earth pass, one jot or one tittle shall in no wise pass from the law, till all be fulfilled,”Matthew 5:17-18. So long as this universe exists, so does every aspect of the law. He said so Himself! Many read “fulfill” and still think “do away with.” This is attributable to an endless chorus of clerics who find Yahweh’s law contemptible and teach against it at every opportunity. And no wonder. It is Yahweh’s laws that separate the true faith from the many false ones, Revelation 14:12. His way of Truth is guided by His laws and commands and to learn of His Truth is to begin obeying them. What exactly did Yahshua mean by fulfill? If I fulfill my obligations I complete them. I do everything I was obligated to do. If Yahshua fulfilled the law, He did what the law required and He did it perfectly without sin. We know this to be fact because He did no sin,1Peter 2:21-22, and sin is defined as the transgression of the law, 1John 3:4. Being sinless and not transgressing the law means to be in perfect subjection and obedience to it. Because He was our example, He showed us the necessity to obey the Father’s laws just as He did, verse 21. See also Philippians 2:5 and 1John 2:6. Many use the term “Mosaic law” in a disparaging way, saying that ancient Israel’s obedience to “Mosaic” laws is not necessary today. Yet, in Acts 7:38 – in the New Testament – we read that Moses at Mount Sinai “received the lively [living] oracles to give unto us.” Oracles refers directly to Yahweh’s “spoken words” which were given to Moses at Mt. Sinai. In Romans 9:4 Paul explains that spiritual Israelites today are those who get the adoption, the glory, the covenants, the giving of the law, the service of Yahweh and the promises. Peter says that ministers are to speak the law of Yahweh, 1Peter 4:11. Yet, few have the desire or courage to do what Peter said. Yahweh’s laws are perfect, and they convert the soul, Psalm 19:7 tells us. Far from being a burden, obedience to His laws changes us, shows our love for Him, and carries untold blessings as well. “For this is the love of Yahweh, that we keep his commandments: and his commandments are not grievous,” 1John 5:3. This is the most serious misunderstanding regarding Yahshua’s purpose for coming. He did not come to abolish the law given to Israel. Rather, He came to enlarge upon it, to make it more incumbent on Yahweh’s people, to teach us to obey, as He obeyed, for the right reasons. He explained that not only the sinful act itself but the very thought of the act is a sinful wrong, and He expanded the provisions of the law to cover wider applications, Matthew 5:20-47. Now just entertaining the thought of evil can condemn us. He said that not even the least of the commandments are to be broken and those teaching against obedience to them will be called the least in the Kingdom, while those who teach His laws will be called great in the Kingdom, Matthew 5:19. Why would Yahshua say this and then in the next breath teach against obedience? After all, the law is exactly what He stands for and what His Father also stands for. “He that keeps His commandments dwells in Him, and He in him,” we read in 1John 3:24. His laws test our desire to honor and be true to Him. No wonder, then, that Yahshua’s coming to obey and uphold the laws of His Father would be met with widespread human resistance and denial. So much resistance, in fact, that His very purpose has been completely negated by the teaching that He nailed the moral law, along with the Ten Commandments, to the torture stake (popularly known as “cross”). This teaching derives partly from a widespread misunderstanding of Colossians 2:14, where the “handwriting of ordinances that was against us” is in fact the added laws of man (which is what the Greek word ordinances –dogma – means: man-made law). Yahweh’s laws are never characterized as “against us” anywhere in the Word. On the contrary, Paul tells us they are “holy, just and good,”Romans 7:12. Yet it was the religious establishment of Paul’s day who gave these dogma or added, handwritten statutes of man, like “touch not, taste not, handle not,” the force of scriptural law, Colossians 2:20-22. Both Paul and Yahshua showed the difference between true laws of Yahweh and these “commandments and doctrines of men” that effectively separated Jew from Gentile and the Gentile from the Kingdom, in their eyes. Above all, Yahshua taught only what was given to Him by His Father: “He that rejects me, and receives not my words, has one that judges him: the word that I have spoken, the same shall judge him in the last day. For I have not spoken of myself; but the Father which sent me, he gave me a commandment, what I should say, and what I should speak.” Yahweh’s law first given to man in the Old Testament is still His law today, and Yahshua came to expand upon and perpetuate it. The only change was in the ritualistic law like animal sacrifices and man’s additions. Scriptural law doesn’t exist for its own sake. Its purpose is rooted in Yahweh’s will for His people. Yahshua followed Biblical law because He did the will of His Father and did exactly what His Father sent Him to do, John 6:38. Because Yahshua stands on the side of righteousness and obedience, He automatically generates division between the sincere follower of Yahweh and those who desire to live as they please. This is true even within families. Note how He demolished another popular myth, “Suppose you that I am come to give peace on earth? I tell you, No; but rather division: For from henceforth there shall be five in one house divided, three against two, and two against three. The father shall be divided against the son, and the son against the father; the mother against the daughter, and the daughter against the mother; the mother in law against her daughter in law, and the daughter in law against her mother in law,” Luke 12:51-53. The Scriptures are characterized as a sword that cuts to the depths of soul and spirit, discerning the thoughts and intents of the heart, Hebrew 4:12. Yahshua also will return with the double-edged sword of the Word and separate the obedient from the rebellious,Revelation 1:16. He will be the Judge, John 5:22, while His Word – the law – will be the standard by which He will judge,Psalm 96:13. How plain! If we will one day be judged by His Word, then it is crucial that we get in line with that Word now. His Word is the guide for living the life acceptable to Him. Yahshua Himself followed Yahweh’s Word (the Old Testament) and His living an obedient, sinless life was our example, 1Peter 2:21-22. How often have you heard someone say something like, “It’s good that the Savior is going to judge you and not me, because He will forgive; I won’t.” Many have the misguided notion that going around forgiving everyone is all that Yahshua will do. His job will be to automatically forgive even the vilest behavior regardless of whether that behavior is followed by repentance or not. This is a heresy of the greatest proportions and could only make sense if He did away with the law so that there are no longer any standards to live by. But as we have seen, He did the exact opposite – He magnified the law, raising the bar by extending it even to our very thoughts (Rom. 7:1). Lawbreaking has serious consequences and requires repentance leading to forgiveness for those contrite in heart. At the same time it exacts a death penalty on the defiant who refuse to bow the knee to Yahshua. We learn from the Word that Yahshua has righteous indignation for those who refuse to submit to Him once they know the Truth. He minced no words when it came to the self-righteous, religious leaders – the Scribes and Pharisees of His day – calling them hypocrites, snakes, sepulchers, and blind guides. He was patient and forgiving when it came to the ignorant, but He came down hard on the knowingly rebellious in clear and devastating terms. Yahshua is returning to the earth to wrest its control from unruly and disobedient man. Paul tells us, “For he must reign, till he hath put all enemies under his feet. The last enemy that shall be destroyed is death,” 1Corinthians 15:25-26. His actions will be forceful and decisive when He returns with a rod of iron to conquer defiant nations. “Then shall the Master go forth, and fight against those nations, as when he fought in the day of battle,” Zechariah 14:3. When that day comes rebellion against the laws of Scripture will be dealt with swiftly and decisively. Those who say the laws were done away, but in their hearts know differently, will face an uncompromising Judge —who is the very One who gave those laws at Sinai for our own good. Everyone will either obey or taste the wrath of the Sovereign of the world. Paul wrote these sobering words, “Seeing it is a righteous thing with Elohim to recompense tribulation to them that trouble you; And to you who are troubled rest with us, when the Master Yahshua shall be revealed from heaven with his mighty angels, in flaming fire taking vengeance on them that know not Elohim, and that obey not the evangel of our Master Yahshua the Messiah,”2Thessalonians 1:6-8. The Kingdom Yahweh sets up on earth will be placed under the rulership of His Son and run by His laws, Micah 4:2. Just as He did while He walked this earth, the nations will be keeping Biblical Sabbaths and Feast days. We read of this in the prophetic chapters ofIsaiah 66:23; Ezekiel 45, and Zechariah 14:16-19. All rebellion will be put down and the entire world will finally learn and practice His ways and worship Him on the Scripturally appointed days known as moedim. The traditional, worldly holidays will be but a distant and flickering memory. Isaiah wrote, “And it shall come to pass in the last days, that the mountain of the Yahweh’s house shall be established in the top of the mountains, and shall be exalted above the hills; and all nations shall flow unto it. And many people shall go and say, Come, and let us go up to the mountain of Yahweh, to the house of the Elohim of Jacob; and he will teach us of his ways, and we will walk in his paths: for out of Zion shall go forth the law, and the word of the Yahweh from Jerusalem. And he shall judge among the nations, and shall rebuke many people: and they shall beat their swords into plowshares, and their spears into pruninghooks: nation shall not lift up sword against nation, neither shall they learn war any more,” 2:2-4. Once obedience is universal the earth will return to its Edenic state, a re-establishment of a time when there was no sin and consequently the earth was a veritable paradise. Yahshua’s role as “Yahweh’s salvation” will be finished. From Yahshua – the “Salvation of Yah” – He will become Yahzidkenu, “Yahweh our Righteousness” as the will of His Father is enforced across the whole earth, Jeremiah 23:6. Peace, happiness, and unspeakable joy will fill the lives of everyone. The inspired prophets boldly proclaimed that His laws will go forth from Zion into every corner of the planet, and then all people will discover firsthand the unspeakable blessings that come with following the ways of Yahweh. May each of us hold to the sure hope of the soon-coming rulership of Yahshua the Messiah, the true Savior whose blood paid sin’s death penalty and opened the way of salvation. May we seek and learn all we can of Him, obeying Yahweh as His Word commands and as Yahshua taught, in preparation for that Kingdom. The greatest blessing of a true follower of Yahweh is to be found worthy to attain His Kingdom, 2Thessalonians 1:5, and to show others the only way that leads to life everlasting through faith in Yahshua and a life of obedience to His Word. Posted in Sacred Name, Booklets. I can’t just leave without a message. Thank you so much to this, it’s a blessing to everyone and you are highly appreciated for making it possible in every way, particularly for having it online. May Abba Yahweh Bless you more through His Son Yahshua HaMashiach!